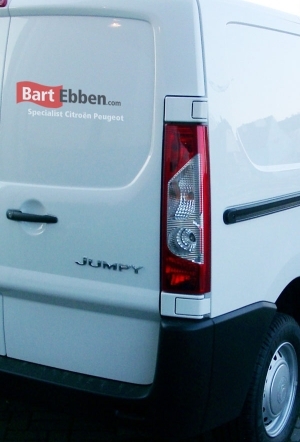 Take a look at our online stock and search for the right used car parts Citroën Jumpy! Of course Bart Ebben can sell an engine or a gearbox. But because only Citroen and Peugeot cars are dismantled many different used Citroen parts and used Peugeot parts are stocked too. Seats, dashboards, bonnets, bumpers, electronics and hydraulic pumps are just a few examples. The Bart Ebben company is located in the Netherlands, however arranging second hand Citroen Jumpy car parts shipment worldwide is a daily job. Shipping the chosen second hand spare part to your location is no problem, because of our broad experience the parts are packed with great care. Just contact our salesteam on specific shipping information. We can also supply Citroen Dispatch and Peugeot Expert car parts.